Building a Composite Deck with Hidden Fasteners is a Must! 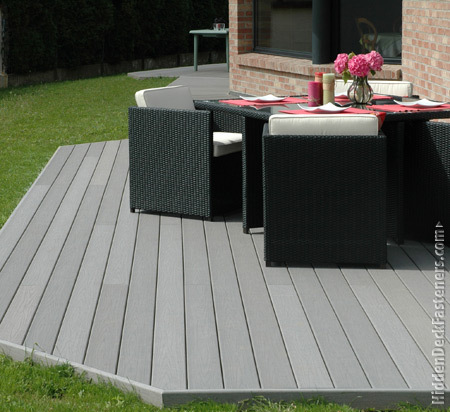 Composite decking, while popular, has its share of post-build problems. If you are absolutely determined to build a deck using composite decking, then we can’t recommend the use of hidden fasteners enough. Why? 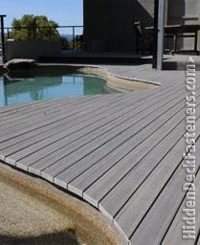 The reason these problems occur is mainly due to the fact that composite decking is quite porous. If you use face screwing methods to build a composite deck and it rains, the water will seep into the decking and create huge problems like the ones outlined above. However, if you buy composite deck fasteners like the ExtremeKD™ you do give your deck a chance at a longer life. Learn more about the Ipe Clip® ExtremeKD™ and why it is the best deck fastener for air-dried wood decking.